The home of the Delabole Slate Newsletter. Delabole village is situated approximately 1 mile inland on the North Coast of Cornwall in the United Kingdom. The Home of the Delabole Slate Quarry and the First Commercial Wind Farm in the United Kingdom. The Village only became Delabole after the railway arrived in 1893. Before this there were three hamlets Rockhead, Medrose and Pengelly linked by a road called High Lane now known as the High Street. 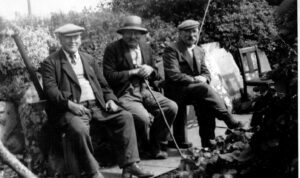 The Delabole website contains many photographs of Delabole and stories of old Delabole as well as information on Delabole for locals and visitors alike. If you are going to the beach you will want to know the tide times dont be caught out with the tide and check to see if there is any beach available. All things Cornwall Council that you might need for the Delabole area. When is the bin or recycling day this week.